Since my high school days I was fond of Asian movies and dramas. I started being addict to Korean movies when my cousin introduced me “My Sassy Girl”. I really like it very much. It’s the kind of movie that I will not get tired to watch over and over again. That started my K-addiction. My sister, like me is K-addict as well as my other cousins. It is our common denominator. My sister aside from being fond of k dramas/movies, she also loves K-POP. But me at that time is not that addicted to it, yeah I listen to K-POP but not addicted to it unlike now. Going back to the story, she became a Super Junior fan I think it was during “Sorry, sorry” or earlier than that. I got curious one day when she was watching SJ MV. I was like “Who are they?” then she said its SJ. At first I was like ok. When I listened to their songs I kinda like it because its catchy but when the fact of SJ having 13 member plus a sub-unit SJM was laid out to me by my sis. I was like “WHAT?! 13 members!”. With that fact I just knew I would never like them, why? because they are so many how can I memorize all the members names and faces? So she is a SJ fan, and I continued to be a K lover. There are times when I insult SJ just to tease my sister. Among the SJ members(before I was not a fan) I thought before that no one is good looking, I didn’t like their hair styles. Even though I’m not an SJ fan at that time I still listen to their songs and watched their MV’s but I never cared about them. It was during “No Other” promotions when something I never thought would happen… happened. The MV was released and I did watched it. I was still in state of denial after watching I don’t want to admit it but I think I’m starting to like SJ. So after that I started fangirl-ing over MIN and HEE but more of MIN. Then until now I am a fan of SUPER JUNIOR and my bias is LEE SUNGMIN. 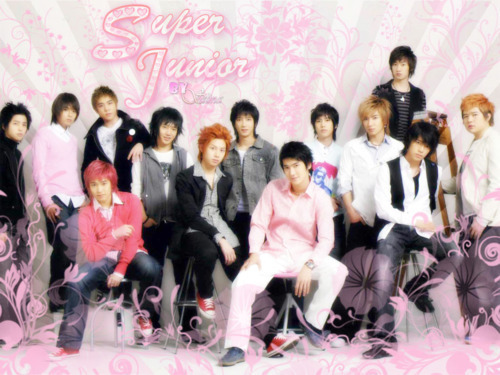 For the record, I can say that I am happy being an SJ fan, being an ELF. 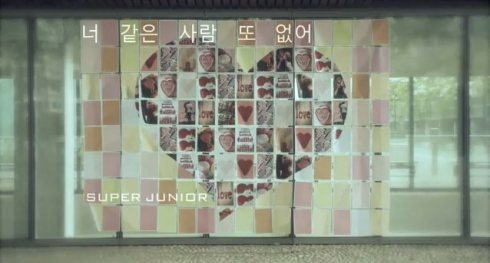 Maybe most can’t relate or would not understand me but even though I don’t personally know them and vice versa I still can say that SJ and ELF have a different bond that no one can break. I feel ther happiness when they are happy and also feel their pain whenever they are sad. Now I try to help SJ win awards through searching for them in different sites, buying their new jib(album) and participating in polls. This entry was posted in Korean, My Thoughts, Super Junior and tagged ELF, Fangirl, Globe, pkci, SJ, super junior. Bookmark the permalink. Awesome I like them too but you are more well inform about them 🙂 great post.